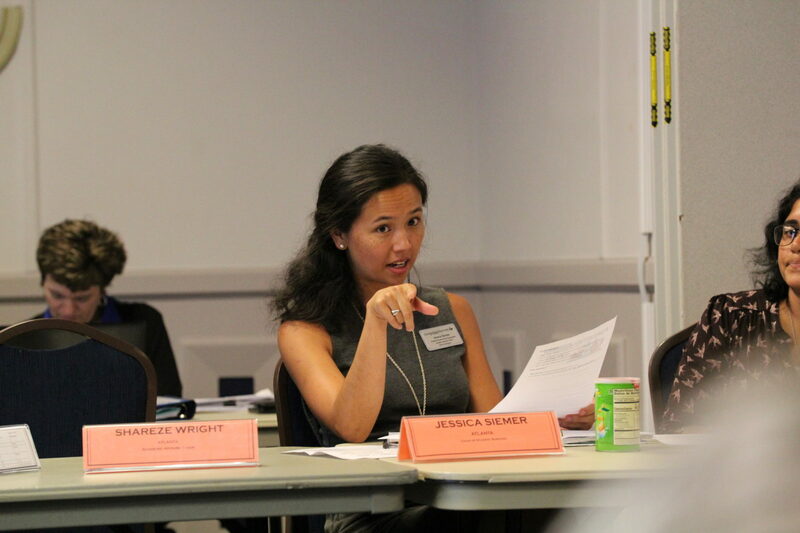 With the Student Government Association elections on the horizon, Sen. Jessica Siemer introduced a bill at the Jan. 31 university-wide SGA senate meeting to enact stricter election violation repercussions. The piece of legislation, sponsored by Atlanta Election Commission Logistics Chair Christopher Garcia-Velazquez and Atlanta Election Commission Communications Chair Kalisha-Lourdy Lazare, was defeated with a vote of five for, nine against and nine abstaining. Siemer’s bill would implement a total vote reduction on a candidates final tally depending on the degree of their violation. The bill sparked debate among several senators, with some calling parts of it undemocratic. “Eliminating votes from the populace is inherently undemocratic,” Sen. Hamza Rahman said. Currently, the legislation only prevents candidates from campaigning for 48 hours for Class C infractions which include pre-campaigning, failure to attend mandatory meetings and improperly posting campaign materials inside buildings. Any violation more severe than that, such as defaming another candidate, results in a Class B violation and a longer ban from campaigning at the discretion of the election commission. If a candidate commits a Class A violation, which includes violating the Student Code of Conduct, they will be disqualified from the election. WIth the new rules, candidates would be docked 2 percent of their vote following their second Class C violation. If they commit a Class B violation, they would lost 5 percent of their vote in addition to the previous 2 percent. No changes would have been made to a Class A violation. Siemer said that due to social media, the two-day ban isn’t an effective deterrent. “Our rationale is that this doesn’t really penalize the campaign because once you put a post out there it’s kinda out there and once people start sharing it you can’t stop it,” she said. Freshman Liaison Kenneth Lockett argued that by docking the vote from the candidate, it would be wrong to tell students that their vote matters if it’s removed from a candidate’s overall tally. “My concern is somebody is going to read this is going and say ‘Oh my vote doesn’t matter because somebody else did something wrong so my vote doesn’t count,’” Lockett said. Since the election is less than two months away, Siemer said it wouldn’t be enough time to create and pass new regulatory legislation. Lockett suggested that SGA moves to a ranked choice system of voting, but with the aforementioned time restraint it would be impossible to implement in time for the election. Update (02/13/2019 at 1:07 p.m.): A previous version of this article incorrectly referred to Kenneth Lockett as a senator. Lockett is a freshman liaison.